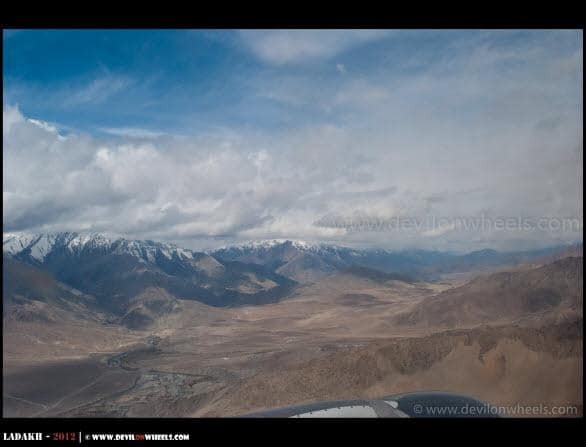 After a long long wait, Ladakh trip finally happened again in April 2012. 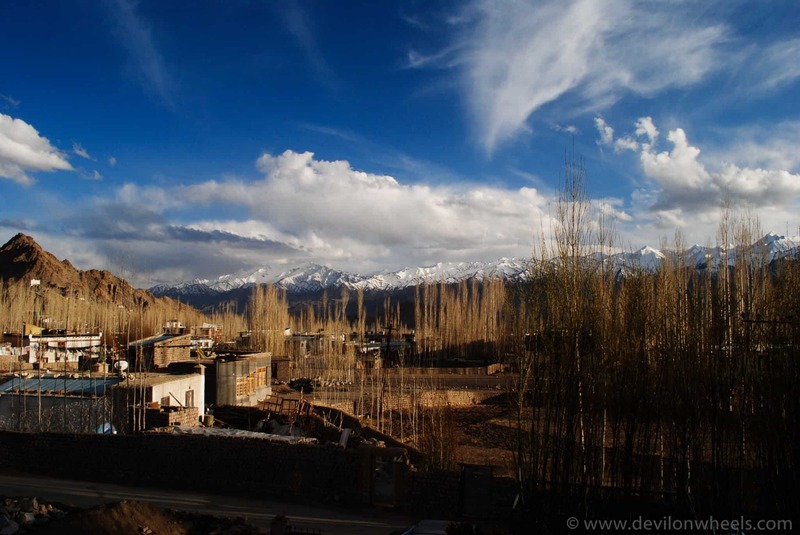 The mantra of he trip was to explore the remotest part in Ladakh known as Changthang and the initial plan was jotted here: Itinerary for My Ladakh Trip in April – 2012. The trip was JUST AWESOME … I had some most amazing adventure of my life. The trip had everything I could ever imagine even after traveling so much … The snow run to Khardung La and getting stuck every odd few KMs at 18K was some serious fun…. Tangste to Nubra via Shyok isolated route was major highlight of the trip. At couple of places we had to almost cross a part of Shyok river and crossing landslides on that route was a super adventure, even army men were shocked to see us on the other side. The Shyok route was really beautiful. Photography wise trip was disappointing due to overcast conditions and dark clouds. Also, riding a Bullet Classic for the first time up to Chilling and Basgo was fun in itself too and finally getting stuck again due to cancellation of flight but witnessing the snow white Leh town was treat to the eyes… Aahhh so much, in so little time!! Well, that is Ladakh for you 🙂 and My Journey to Ladakh Begins Again!! After a long day in office, seeing off my little kiddo and lovely wife, packing all the luggage and finally replying to all the comments/emails on the blog, I finally went to sleep at 3.30 AM. The flight was scheduled for 8.30 AM which meant not much time to sleep. Well, the excitement was such that I hardly slept though ;)… 6.00 AM sleep broke with the three alarms and with no friction I was ready by 6.40 AM. Taking blessings of the family, off I went to Airport where I had to meet my friend Himanshu and a boy Tejas coming from Mumbai, who joined two of us at the last moment through my blog online. He was waiting at the Airport only and after all the formalities we were ready to board the flight. 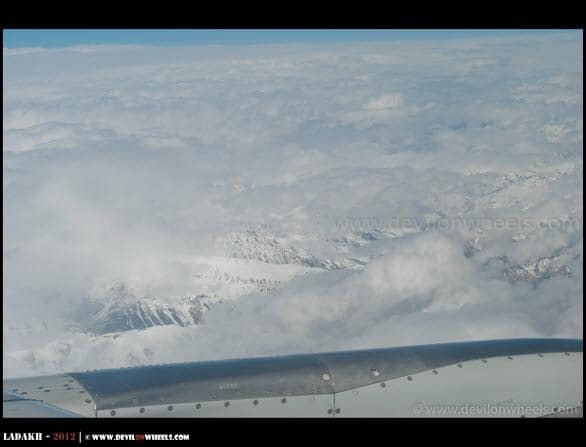 The views from the flight were a bit disappointing because of overcast conditions and cloud cover. 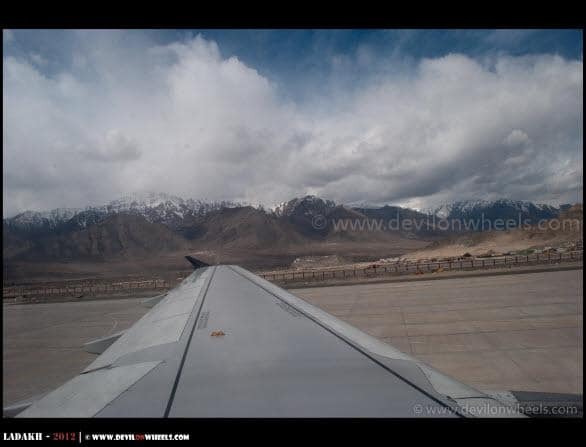 Flight took about 1.5 Hrs and we finally landed in the heaven, Leh – Ladakh. I cannot express my feelings through words and for a moment I was lost in myself. My soul belongs somewhere here, it is lost somewhere here in the heaven only!! Well, a bit of setback to me as GoAir attendant came running to me handing over the broken piece of my Tripod which meant no night long exposures, no panoramas 😥 … I was so desperately wanted to take them this time. But, never mind it did not kill the excitement of being in heaven. Rigzin (taxi guy) was waiting for us at the Airport and with one look I knew who was the charming and bubbly personality :)… There was one group of ten members who got in tough with me at the blog was also there and shaking hands with Deepak, who contacted me off we were towards our Hotel/Guest House. I realized that since morning none of us had eaten anything so we checked in the canteen of DC office where lunch was over but Maggie was present. So, we ordered one Maggie and tea. Ladies present there served us the Tea + Maggie and asked why aren’t we taking rest on the first day. Sadly, I had no answer because of excitement I forgot it as I could have asked Rigzin to get these permits for us while we had taken complete rest. The problem was weather which was turning bad with little snow flakes falling down and lowering to temperatures further. It was getting colder and colder and some kind of uneasiness had started to set in. So, I handed over the permit form and fees to Rigzin who was there to take other groups permits and requested him to arrange the taxi to drop us back to hotel since walking down could have produced some ugly nightmares of AMS at night :)… He asked his cousin to drop us back to our guest house where we drank some good amount of water and rested for the day. In the evening, we woke up and was feeling much better. The weather still was overcast and it was very cold outside. Soon we realized that we had to go out for dinner because guest houses in Leh had not started to serve dinner or food due to lack of cooks who comes only after roads get open. I was aware of few good restaurant names Lamayuru and Gesmo who serve really delicious food in Leh but since it was almost dark a shop in the market said they would be closed by now. Then, we found a restaurant named Little Italy and walked up to it. Cold was getting colder but thanks to the people who served hot water as well 🙂 … Again many of the restaurants lacked cooks so had not started serving chapatis, only rice was available. It had to be the first meal of the day at least for me and Tejas, so we ordered three plates of Rice, Dal and Kashmiri Dum Aloo. Among he three, Kashmiri Dum Aloo tasted so great and overall the food was very nice. On the way back we bought biscuits, snacks, some chocolates in case we might need at night. The road to guest house had gone dark and we forgot to take the torchlight with us but thanks to today’s smart phones, which had an Flash light android app installed. We already had heard the story of a man eaten by stray dogs in Leh while he was out for a morning walk. So, we were already scared of them at first place but our smart phone came to rescue 😉 … Sometimes small things seems very helpful!! We managed to reach back our hotel and realized that from next day we had to take torchlight as well as a stick with us wen we go out for dinner or take the dinner within day light. Finally, I took a portion of ORS and went to sleep praying none of us get hit by AMS at night. 1. Is it sae to stay at High altitude overnight like in Korzok,Spangmik . I am travelling with Kids (7yrs, 11yrs). 2. Also one of my Kid is diiabetic Type I. 3. 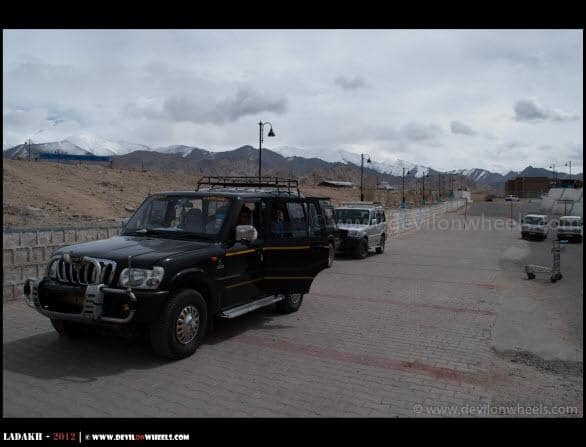 Can we get the taxi from leh for all 10 days. Approx. what will it cost . In your plan, all is fine till Day 6. From Day 7 you need to give two days for Tso Moriri only. You need to go to Tso Moriri and stay on Day 7 via Chumathang and on Day 8 you can return from Plokongla Pass – Tso Kar – Taglang La route. On Day 9, you will only be left with rest day in Leh. In case you want to visit Lamayuru then it is better that you make Day 2 and Day 3 as two day trip to Lamayuru covering Sham Valley while coming back from Lamayuru on Day 3. There you will find Register Button which will send you confirmation. Once you confirm and login to community, the click on the logo on the top or come to Blog site or Calendar Page. It will ask you to Integrate the account as soon as you access the calendar page, press integrate the account then for community and for blog, same account can be used and you will be able to post in community as well as submit the entry in Calendar too. Let me know in case you face any trouble. It will ask you to integrate account or create new account, click on Integrate Account and you are done. Shubhangi, you can get connected with many like minded people planning their trip to remote parts of Himalayas using the effective Travel Partner Calendar from the menu. You can search over the calendar based on your preferences and see who all have posted such requests and get connected with them. You can submit your travel partner calendar entry too. It is so nice of you to post such articles. Thank you so much. I will be coming back by Sringagar-Leh highway . But then comes a problem, My result and admissions are starting from 6th OfJune, so I will have to be in mumbai till 30th of june :(. So know i have time from 7th may to 30th May. And Then After 30th June. I heard this time in may It will be too snowy then last year. 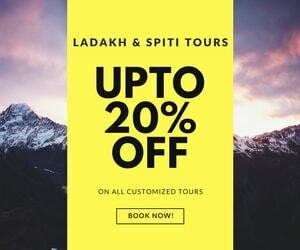 I request you to plan the trip of about 12-14days accordingly in leh ladakh. 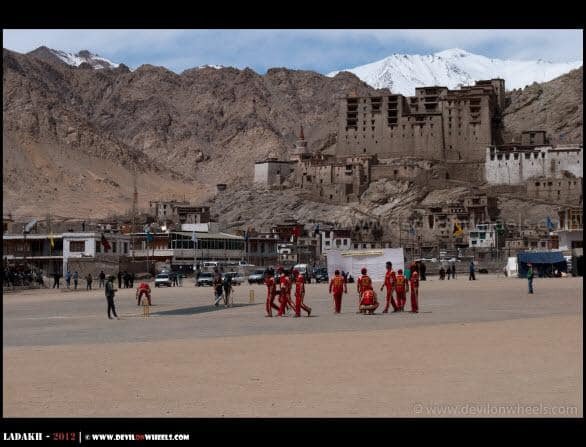 Also clear my confusion of going to ladakh either in mid may or in july. 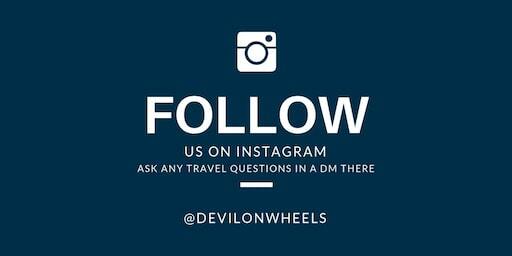 Two of us will be vising ladakh, so which is the best mode of transport there? Hello Dheeraj. 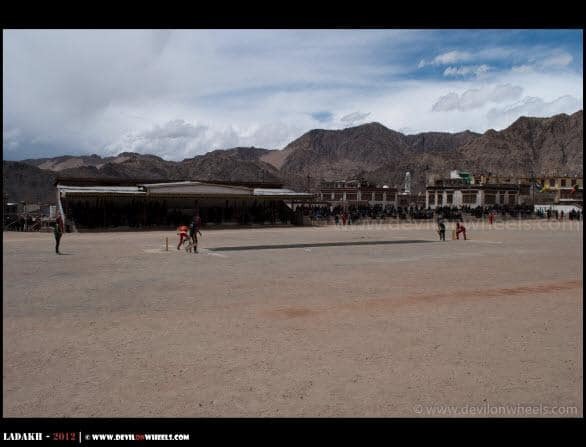 First of all my whole hearted thanks to you for such beautiful blog and amazing pictures of Ladakh. I am planning to Ladakh with my 3 friends from 2nd – 10 May this year. Our planned itinerary is like this. 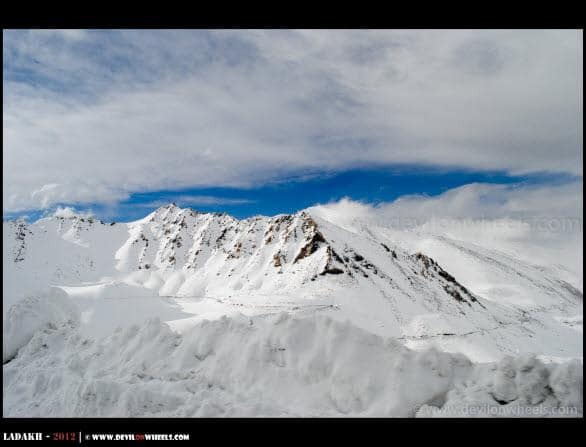 We are anticipating snowy roads on Khardung La and Chang La this time as your journey is very much near to our time. While we shall cross Chang La by Innova, we are going to cross Khardung La by bikes. Please advise us while riding on such roads and what special precautions we shall have to take to defend the odds. Amaresh, the bikes will surely skid. 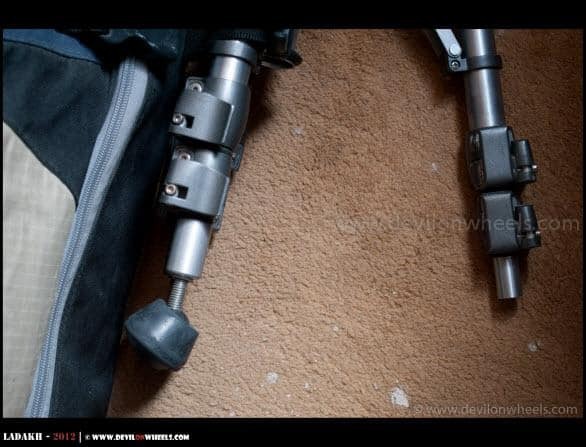 Please do not use brakes much up there especially when descending as the bikes will skid. I am not sure how much experience you have in riding bikes in Himalayas and that too over snow, but it will be to an extent risk to ride in snow in case you have never done it. hi dheeraj..m planning to ladakh from bombay from 5june to 20june m goin via kargil and return back via manali in my skoda superb v6 …..can this car make that trip……i was travelled all over india except jammu kashmir ,manali ,n ladakh in ma superb …..so reply me is leh manali highway will be open n other information …. If you have done Ladakh earlier you are very much aware of what kind roads to expect. So, is there anything specific you are worried about for taking the same car this time? Also, Manali – Leh Highway is expected to open by next week. We will go by road from jammu.. If you think its not enough..
And we can Cut short the trip also to 6 days..
its great to read about the trip of yours..
around 1 or 2 of aug.
so is it a good time to visit??? Ayush, till Srinagar/Kargil there will be rains during this period and then after Sarchu from Manali side. You will not be able to see snow, may be in far distance. Apart from that no snow will be present in August. so you want to say that ita not the good time to go there??? so according to you what would be the good time..
so i have the time after Training till result..
please suggest some other place to visit during this period.. Unfortunately Ayush, there is just the time to visit Ladakh that is between mid May to September types. No good, no bad. You have to live up with pros-cons of every month. Whole of North gets rains during that period. 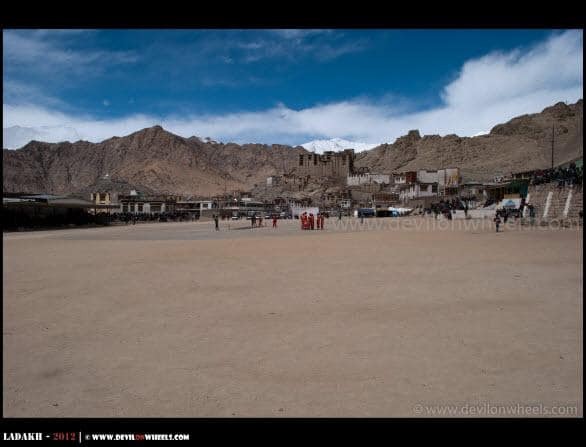 Ladakh is safest bet and with 8 people, 1 lac seems too low for a Ladakh trip. 60k for srinagar to manali drop .Covering entire journey of your most common itinerary except sham valley . Is it the right price ? 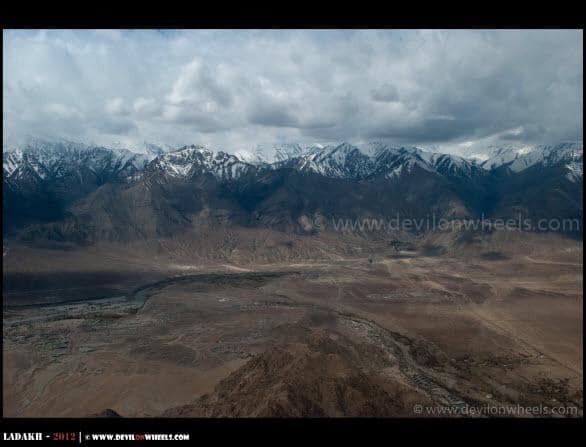 I discovered this site today and Ladakh in May 2012. I am yet to browse your site in detail. But very much liked the overall content. Bravo Man! I love your ”Travel” spirit. Like you, I was mesmarised by Himalayan experience in Ladakh. Wish I could explore Ladakh in much more detail over my next visits. Day3- srinagar to kargil. Visit kargil war memorial. Day4- kargil to leh. Visit lamayaru monastery. Day6-Gurudwara patthar sahib,magnetic hills,confluence of zanskar and indus,basgo palace,likir monastry,alchi monastery. Day7-Leh to deskit.check in to hotel. Visit deskit monastery. Take camel ride in hunder. Day8- deskit to pangong tso via shyok village. visit yarab tso,sumur monastery, panamik hot springs. Day9- pangong tso to hanle. Day11- tso moriri to leh via chumatang. If there is any problem in itinerary please give suggestions. 1- we are coming during may/june. So, can we get good hotels in hanle and korzok??? 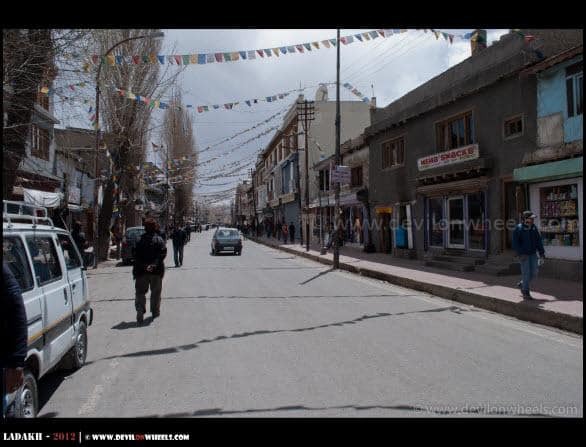 3-can we cover tso moriri to keylong in one day as i dont want to stay in sarchu or pang. 4- what can i do on Day12. 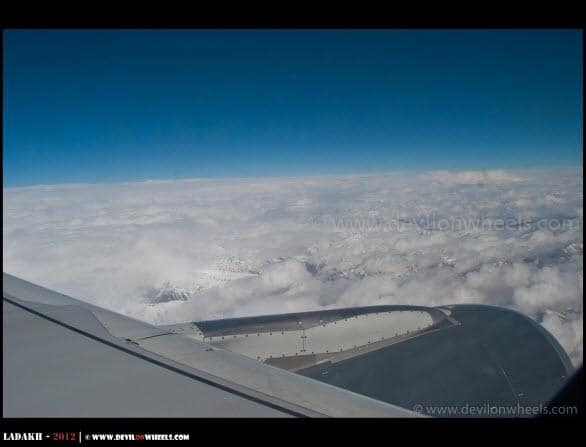 5-please give me the names of places which i will mention in the permits for this trip. leh-nubra valley-shyok village-pangong tso-hanle-tso moriri-leh. I saw your article on taxi prices but i want to know the cost for complete trip. 1. Looks fine except Day 8, else start very early on Day 8 to complete it or drop Sumur Panamik from your plan. There is no hotel at Hanle only observatory guest house whose stay permissions you can get from their office at Bangalore else home stays are your best bet. Korzok you will be able to find guest houses and even tent I think by that time of the year. 2. No accommodation of rooms at Pangong tso except Pangong camp resort which is quite costly and home stays at Spangmik village. Otherwise, stay at Tangste. 3. You can but very very long day. 4. Keep it for rest day or split the long journey between Sarchu and Jispa. Jispa is much preferred by me over Keylong which is more like a town. 6. Will cost you about 28-30 K roughly. I hope that helps. Please let me know incase you need more details or have some queries or doubts. Hi, Do you know any groups or agents who are operating any motorcycle tour during end of August 2013. I have seen some websites which are charging very high like usd1500 – usd 4000 for 15 days tour, which i believe is way too high. Pls advice if you have any suggestions. Is Maruti Swift dzire car suitable for travel to leh ladakh via manali and srinagar-leh route. please advise. I hope this helps. Please let me know in case you have any queries or doubts. Ooops. That Cooks part makes our trip difficult. I guess we will have to postpone the trip to the ‘season’ time when cooks join the lodges and cater to the tourists’ appetite. And, I cannot eat rice all the time – one course of chapati is a must for us. Very True Kishore. If such is the case then make that trip either in June – July or in September. first of all thanks to share such a valuable information for all of us who wants to visit Leh. We are 2 couple incl. 6 yr kid planning to visit leh in this July only. we are planning by road in Sedan car from Gujarat. can you pls advise. You can check a very balanced and most common itinerary for Leh – Ladakh followed by many travelers including me at the link here: Most Common Itinerary for Leh – Ladakh. PS: Sorry, for the delayed response, was offline for last few days. 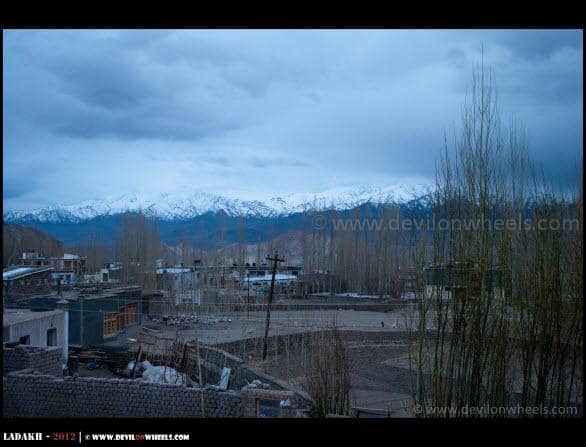 I am planning for a ladakh trip with my wife from 21st July 2012 to 28th July 2012. Is it good time to visit during these days? What will be the chance of rain during these? and will it spoil the fun? Could you please help me in finalising my itinery? 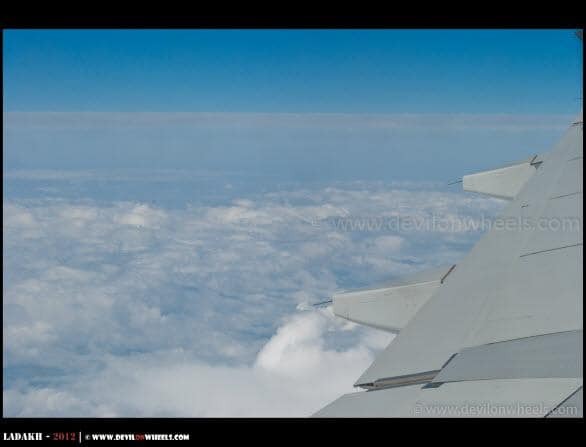 I would be travelling by air. I hope this helps. Please let me know incase you have any doubts/queries. After reading this I decided to take tripod with me on ladakh tour in July. Hope it will not be burden as I wish to click stars in night. 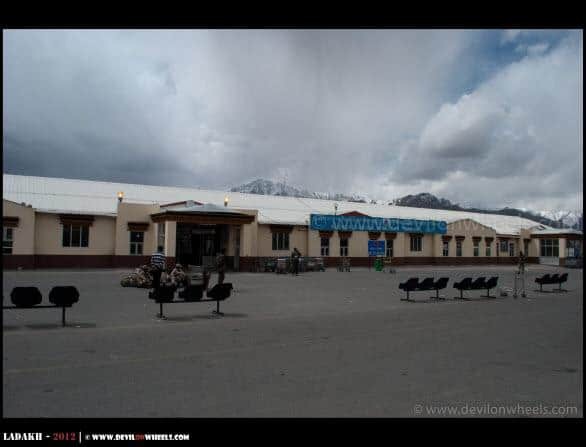 Hi Dheeraj, is it true that govt stop giving permit to visit this place Chushul-Tsaga la-Tasaga-Loma-Hanle.This is informed by one of the travel agents. Following is my tour plan for Ladakh, kindly take look and suggest the modification if any, everything is flexible, no of days, route, night stays. If you do not have any issue sharing your contact no. please give me your contact no. and comfortable timings to contact you if needed. 1. On Day 9, you will not need any extra diesel since you will be back tracking the Chang La route only. You do not need to go through Shyok/Wari La routes as they connect Pangong Tso to Nubra Valley but here you will be coming back to Leh. 2. Try to have a rest day in Leh, before starting the long journey of Leh – Tso Moriri – Manali – Delhi – Kota. I will email you my number. I think I don't have to go anywhere else when I do this trip. I wish you make this journey soon too, stay tuned for whole story!! It's great to read your posts. Not just this one. Let me know your views…. The itinerary is great but I will suggest instead of doing all the off-beat route, try to take a break and return to Leh from Turtuk, so that next day you can do Leh – Pangong Tso via traditional and easy route. You can check a very balanced and most common itinerary for Leh – Ladakh for 15 days followed by many travelers including me at the link here: Most Common Itinerary for Leh – Ladakh. Seriously true 🙂 … Like I always say, there is no other place like Ladakh 🙂 Please stay tuned, as there are many more pics to come. Hey nice write up & crispy pics Dheeraj. Waiting for more. I am also planning for Leh Trip this year in Sep / Oct. Thanks alot Shikhar!! I am into writing phase of Day 2, would share it very soon 🙂 … Great to know that you are planning in September, when you see most beautiful colors of entire year in Ladakh and best of the roads. Do not delay much into October as cold gets too much and roads start blocking due to snowfall at high mountain passes. So, keep it upto max. initial week of October else late September should be great. Sure, buddy next time I plan to Ladakh or Zanskar will post the event on FB page.